What to choose for your Sports Flooring? How you finish the floor of your workout room, at home, work or at the gym, can make the difference between a healthy workout and damaging your body. Carpeting can be fine for machine and weight rooms, but not for other activities. Sports flooring comes in a variety of materials including maple, rubber, and foam. Sports room rubber flooring is great for gymnastics and martial arts. Maple flooring is wonderful for basketball. Sports flooring advantages outweigh disadvantages. You owe it to yourself to consider special gym flooring for your workout space. The last thing you want is to go to a gym to improve your fitness and end up hurting your back due to wrong flooring. That is easily the worst nightmare and hence needs to be avoided at all costs. Sports flooring has come out of the gym and into many households. The current trend of health and fitness has led a lot of families to create their own twenty-four hour workout area. Starting with a sports flooring is a good idea. A lot of people are under the wrong conception that choosing the same flooring as that of the other rooms will work for your personal gym as well. They couldn’t be farther from the truth. The reason why most people do this is to save them some time and money. It is of course time consuming and a bit costly to have separate sports flooring installed in your gym alone. But trust us; the effort is totally worth it. Why sports flooring isn’t for anyone? Sports room rubber flooring gives you and your family a safe place to land, literally. While this doesn’t advocate falling onto the sports flooring if you don’t have to, you can be assured of its safety factor due to its use in training rooms and martial arts facilities across the country. The foam materials of sports flooring create a softer option versus concrete or other surfaces. This is especially good for those fitness centers that cater to younger, less-experienced members. While the instructors will make every effort to maintain a level of safety, accidents happen. And they injuries will be less serious with sports flooring catching the fall. This is especially more important if you are lifting weights or indulge in activities that puts a lot of strain on your joints. A good sports flooring will be able to absorb most of the impact. 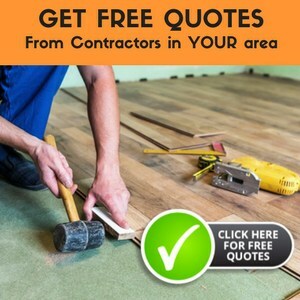 On the other hand, regular flooring will pass on most of this shock to your joints, thus effectively harming you more than doing you any favors. Maintenance is a snap with sports flooring because of the smooth surface. In many cases, a carpet steamer is quite effective and easy to use. A thorough hand washing with a sponge is best, but in a large area, this can take too long. If the workout area or gym is in a public space, sanitizing the floors periodically is a good idea since people are sweating as they workout. At home, sanitizing may not be as important. If you opt for sports flooring that comes in squares or tiles, like rubber mats, you have chosen a cost-effective option. These are easily replaced without a need to close down the entire room. The old tile or square can be removed and replaced with a new one in a short amount of time. This is another plus point of sports flooring because no one wants down time in their gym. Sports foam is more fragile than other options and can be gouged and damaged by sharp objects. These damaged areas can’t be repaired spot at a time. In the case of sports flooring squares, you can replace the square, but in the larger installations, you have to replace or repair the entire floor. Sometimes, using a sports mat on a conventional maple gym floor is the solution. A maple floor gives you more options of how to use the room and areas that will experience falls — as in martial arts and gymnastics — mats are a great option. Sports flooring is an essential teammate for any athlete and coach. And just because you work out at home doesn’t mean that you shouldn’t have the same player on your home team. Install sports flooring and ensure the safety of yourself and your family.